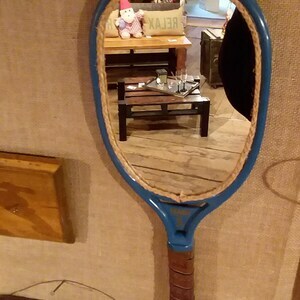 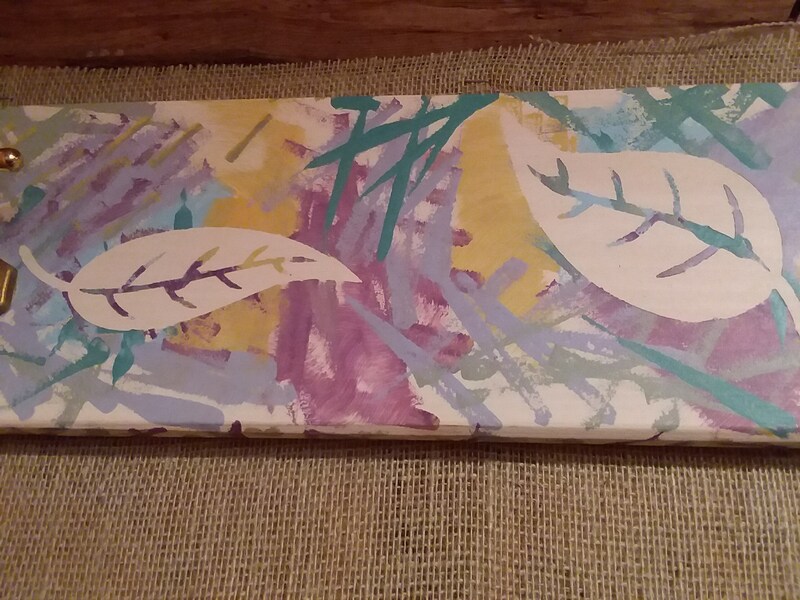 It's Art with a purpose. 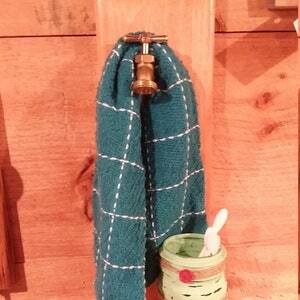 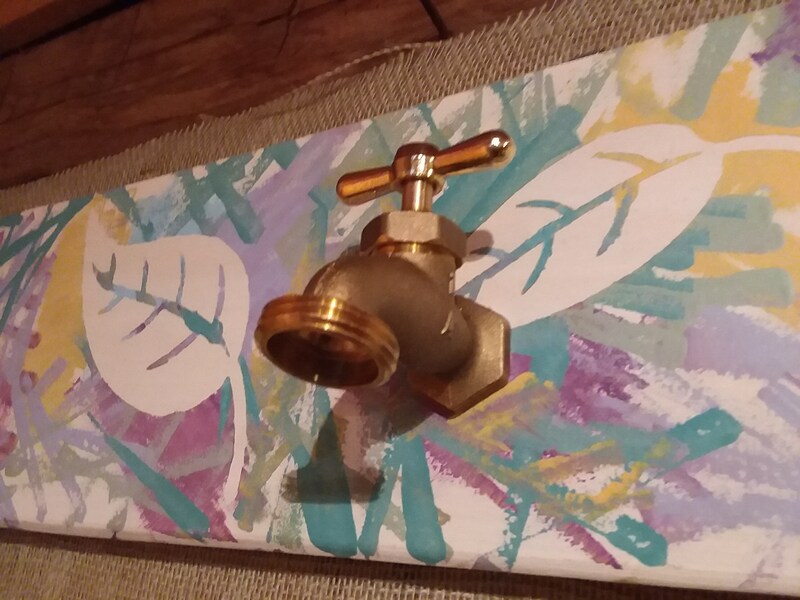 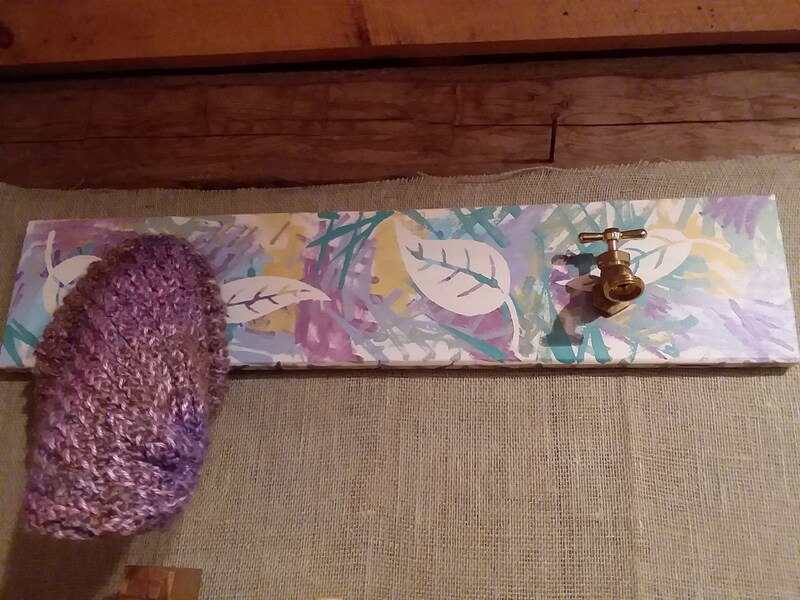 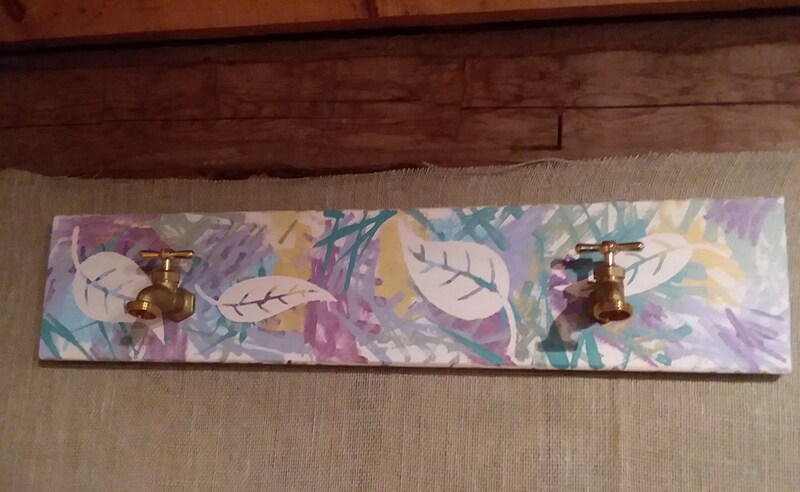 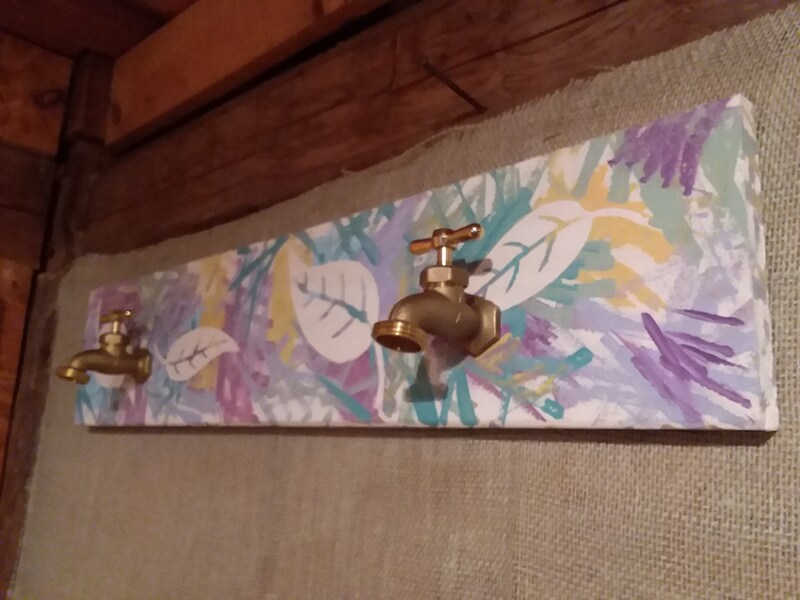 Gold faucet handles act as hooks on this leaf embellished multi color painted pine board. 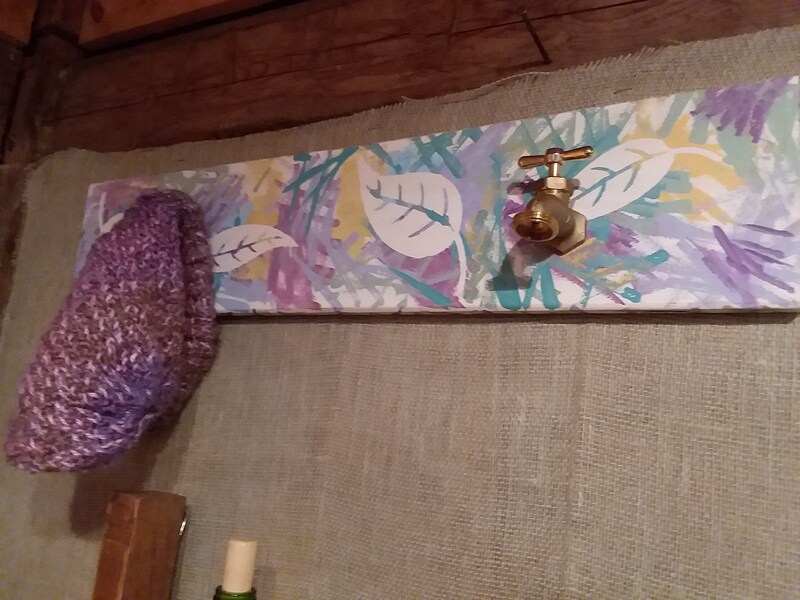 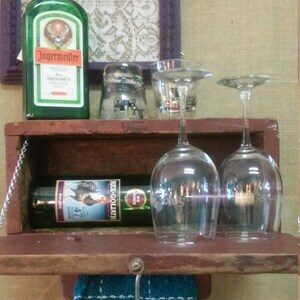 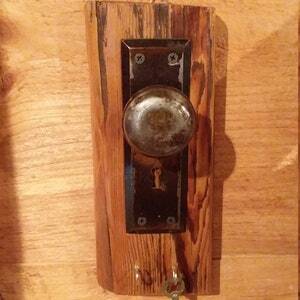 2 key hole hooks on the back for easy hanging.